Image optimization is essential for both professional and home use. This is especially important if you’re an online publisher or blogger. Most of the websites (focus on social networks) have limitations for image size. So, you have to optimize photos in order to use them online. In addition, the large image files that you add from your gallery will increase website page size and thus, largely increase loading time. And we certainly don’t want that. Because the common visitor wants that page to load in a blink. On the other hand, we neither want to trade so much of the image quality for improving the site speed. So, compromising between size and quality is the only viable option. In that manner, we’ve prepared some fast, online and offline tools for image compression and optimization. All of them are free to use. 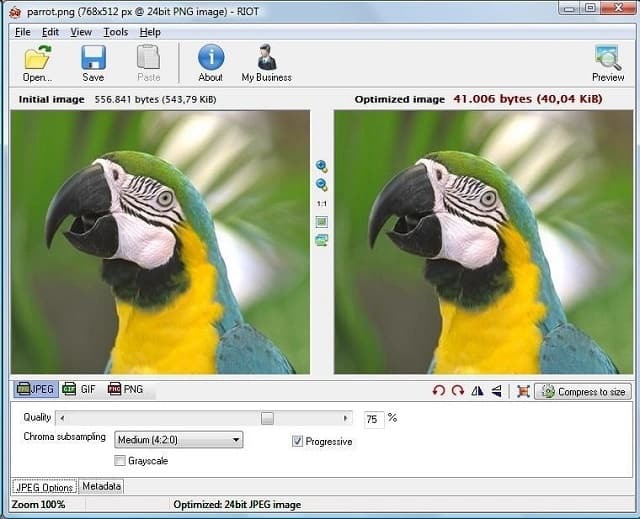 This tool optimizes your JPEG images but also your Word, Excel or PowerPoint documents . It reduces them to a fraction of their original size. 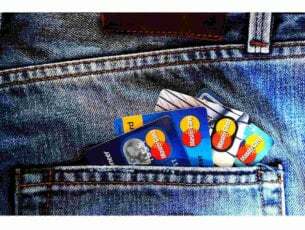 Files remain in their original format and there is no need to unzip before using them. It also allow you to customize balance between quality and compression ratio, which is a very useful feature for images. It”s very user friendly : just select the file you want to compress, choose your compression level and click the ‘Optimize’ button. You can also optimize files from within Windows Explorer and Microsoft Office programs, or choose to automatically optimize email attachments as they are sent. This tool can be tried for free, but, if it fits your long term needs and the features from trial are not enough to accomplish your work – you can buy the full version for 50$. The Compressor is simple to use. 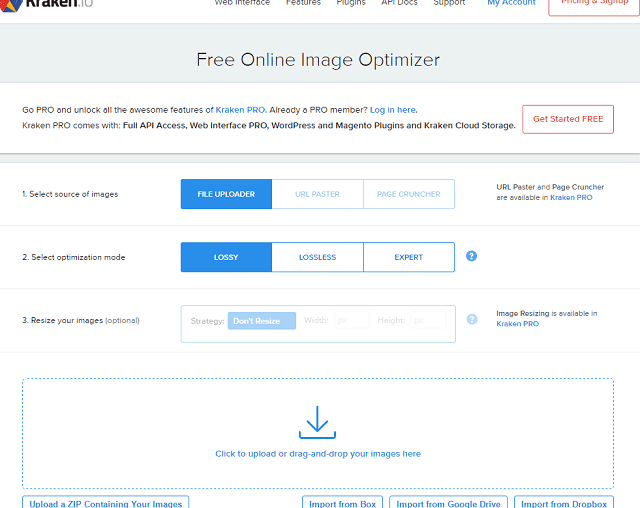 You select a preferred optimizing mode, upload your image and it gets automatically optimized. A nice addition is a split screen preview that lets you see the exact difference in transition. A tool supports only one file per compression up to 10 MBs of size. You can find Compressor.io here. 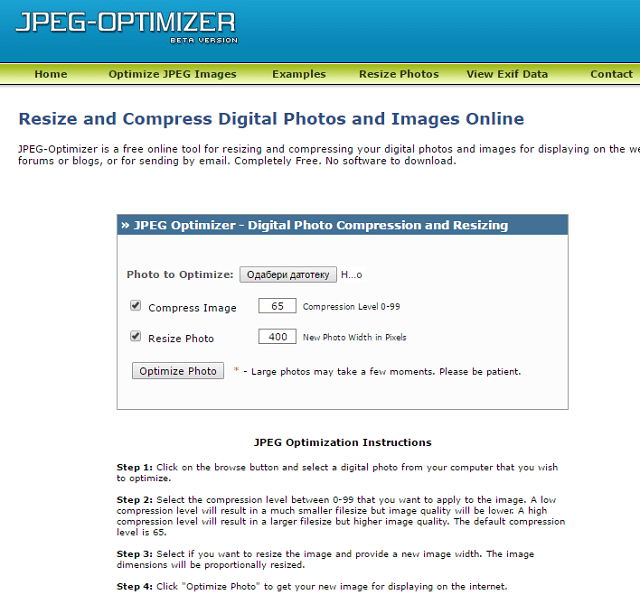 JPEG Optimizer is a simple and reliable online tool for both compressing and resizing images. It kind of lacks the advanced features, but it gets the basic job done. Furthermore, the files can be compressed from 1 up to 99 percent, but have in mind that photos will lose a lot of original quality. Choose compression level (from 0 to 99). Select preferred width in pixels. JPEG Optimizer supports only one file per conversion up to 10 MBs of size. 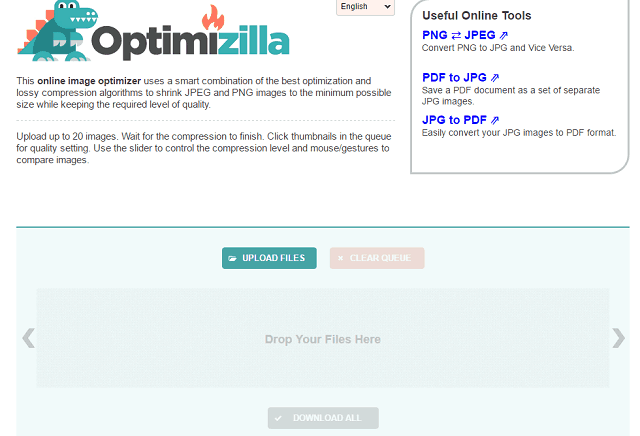 You can try out JPEG Optimizer here. Choose up to 20 files, drag-and-drop them in a marked area. Once uploaded, select an individual file in the queue. Use sliders to choose optimization level (more quality – less compression). Compare images to find wanted optimization. Download files in the standard manner or in a ZIP archive. You can try out Optimizilla here. Kraken.io utilizes similar features as most of other optimization tools. But it goes one step further. It has a premium version called KrakenPro. In addition, it supports cloud store input. Drag photos from desktop or import from Box/Google Drive/Dropbox. Download files individually or in a ZIP archive. You can try out Kraken.io here. Resize Photos trades interface simplicity for an abundance of options. Yes, you can just select simple optimization and resize the selected image. But there is much more you can do. For start, you can modify output format. Once the photo is uploaded, there is a variation of difference features. Some of them are shadows, effects, and captions. It supports only one file per conversion which can be JPEG, PNG, GIF, BMP, or PSD format, respectively. Upload photo with a supported format. If needed, modify additional settings. Once finished editing, download image. 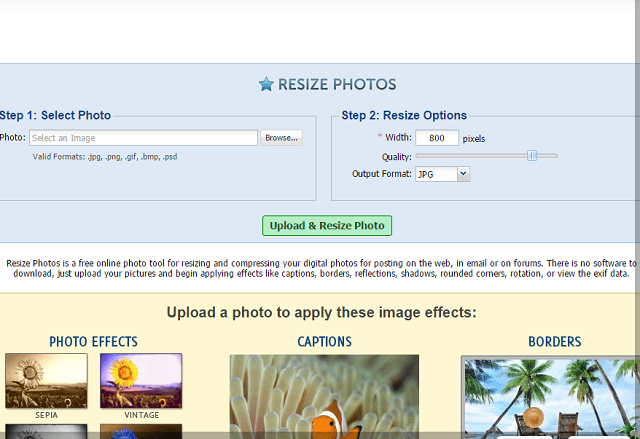 You can try optimizing with Resize Photos here. 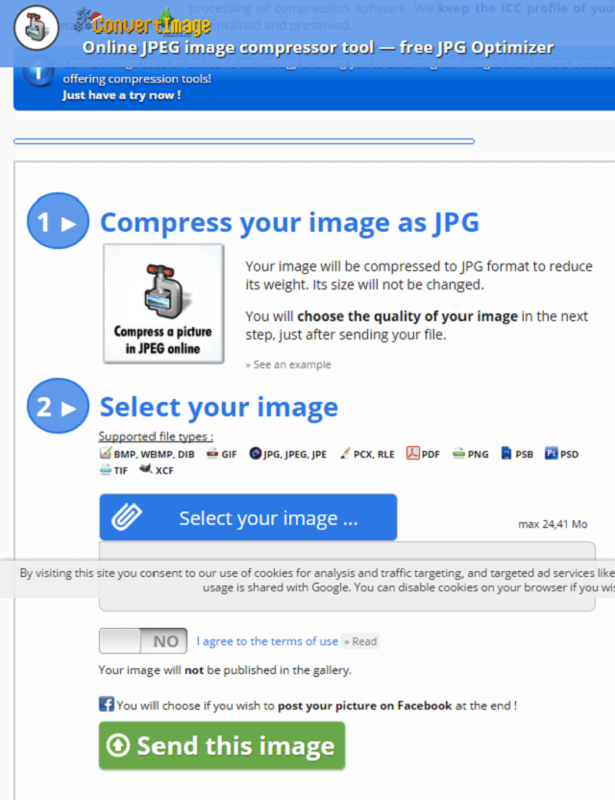 Convert Image is a simple, but quite useful online compression tool. 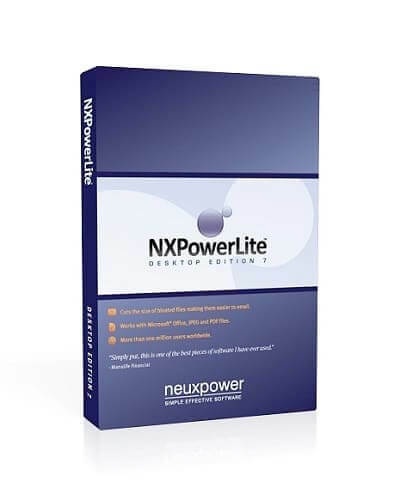 Its distinctive feature are multiple input-output files choices, with most of them unavailable with other online solutions. You can compress only one photo per conversion up to 24 MB. 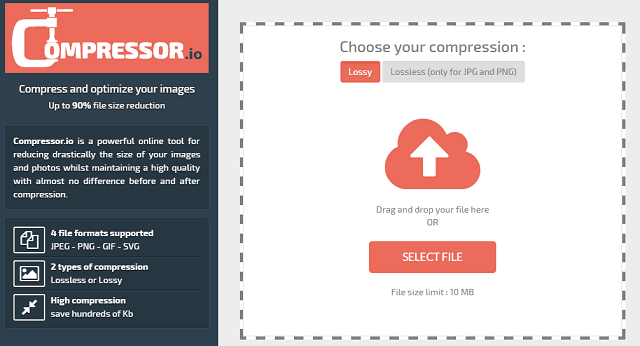 A tool offers tips about compression levels and preview image. That way you’ll get full insight in the image export quality. Though, switching between the output format is somehow complicated and confusing. The default output format is JPEG. To choose other extensions, scroll to the bottom of the page. Upload photo and Agree to the Therms of Use. Select the preferred compression level and click Validate. You can try Convert Image here. TinyPNG is one of the simplest online optimization solutions that offers great compression without quality loss. It merely decreases the number of colors in the image without reducing its quality. However, you can’t tweak anything compared to some other available solutions. Drag and drop preferred files in the marked area(up to 20). Wait until the automatic optimization is done. Download compressed files or export them to Dropbox. 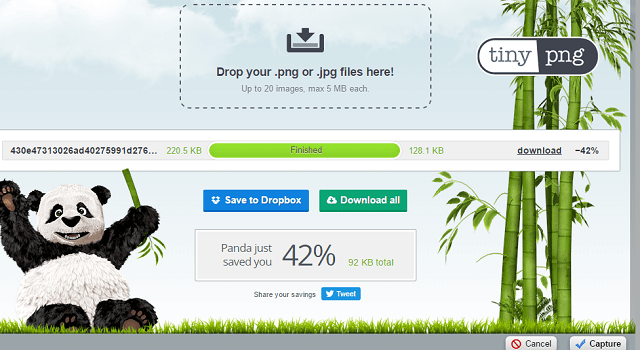 To compress your photos using TinyPNG, go here. We now move onto the free third-party applications. 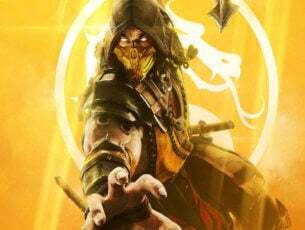 You’ll need to download and install those, but they’ll reward you with improved features and basic editing possibilities. The first tool we are presenting you with is RIOT (Radical Image Optimization Tool). RIOT is, as its name speaks for itself, an image optimization tool with various features. The interface is intuitive and user-friendly, so even newbies will find it easy to use. The most noteworthy difference comparing to online tools are formats. RIOT supports all basic image/photo formats with the addition of PSD, RAW, HDR, and even a few unusual scientific formats. Besides compression, you can use RIOT as a full optimization tool for all the operations needed (cropping, rotating, adjusting brightness or gamma). On the other hand, we are here for the automatic optimization feature. It works fast and your photos will be as good as they were before the size reduction. The automatic preview will let you see all the changes, with both dual or single view. Additionally, multiple compressions can be done parallelly, and you can choose the output size threshold. RIOT also comes as a plugin for GIMP, IrfanView or XnView. If you are keen to move from browser to desktop, you can find RIOT, here. File Optimizer is an all-around open source application. It’s a file compression tool that can be used as an image optimizer. Don’t let its multipurpose fool you: this application is a great option for optimizing your images. And quite a simple one. The interface is simple, one may say a bit old-fashioned, but intuitive and well-designed. You’ll fast get used to it. It supports 275 file formats, and is a leader in that category. Optimizing photos, like the all other files, is fast and easy. You drag wanted images in the files grid, and simply select those you want to optimize. After that, just right-click the Optimize All Files option. Have in mind that the original files are moved to the Recycle Bin, in case you need them. Optimization mode is strictly lossless so the quality is unchanged. After the compression, the PNG files are shrunk almost to the half of the original size. The JPEG and GIF files compression stand around 15-20 percent of size decrease. Even RIOT is behind in that category. In conclusion, you have a compressing tool to that can shrink most of the files you’ll ever use. This can prove worthy if you want to unite all compressing functions in one application. 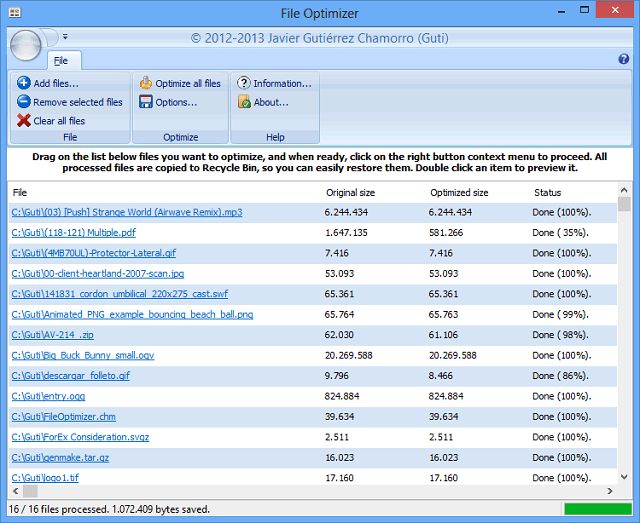 You can get File Optimizer for free here. No matter what option you choose, optimizing your photos for online implementation is imperative. On the other hand, images you upload must maintain a certain quality and be a valid addition to your site. So, trying to balance between those two is the key. What is your favorite image/photo optimization tool? Tell us your impressions and experience in the comments section.